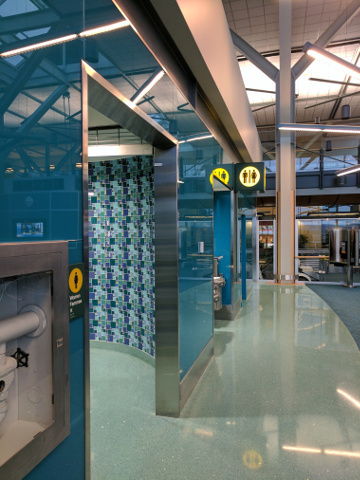 YVR ITB GATE 71 Washroom Renovation, by KDS Construction Ltd. 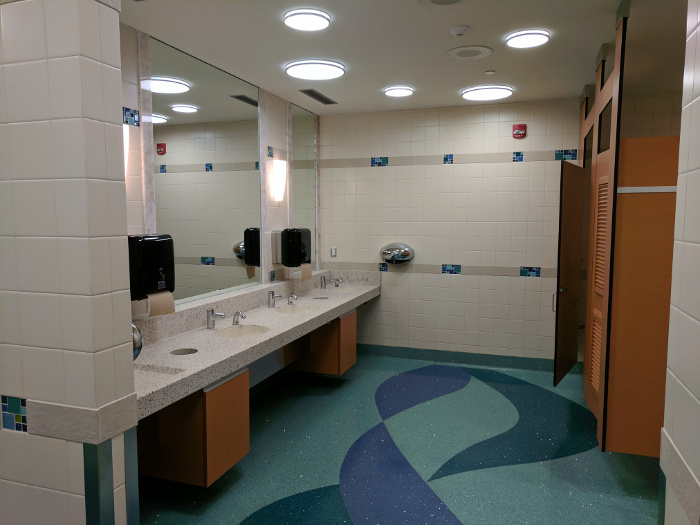 This project was a renovation of the washrooms within the secured area of the airport. 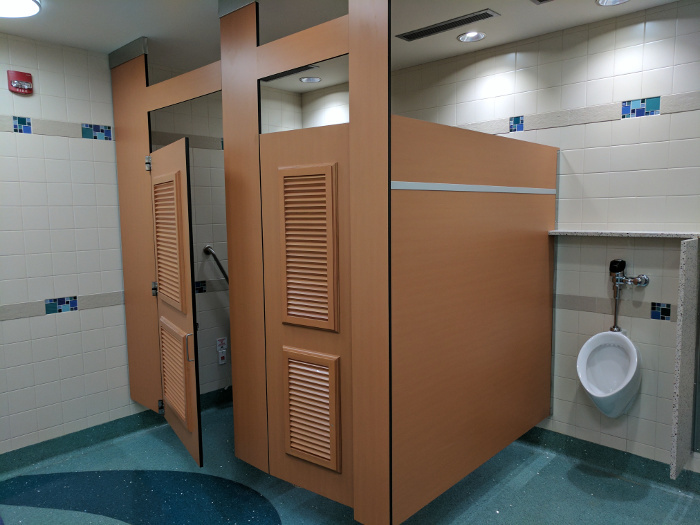 Finishes included glass mosaic tile, custom patterned terrazzo flooring, custom millwork, washroom stalls, and a back painted glass wall finish. Work had to be coordinated around client operations and all workers on site needed to be security cleared or escorted.